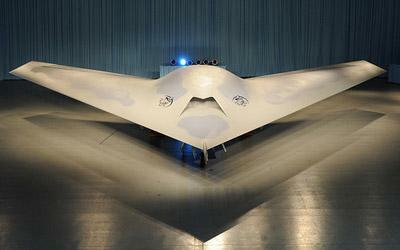 The Boeing Phantom Ray unmanned airborne system (UAS), just one of the models of aircraft Boeing produces, during an unveiling ceremony in St. Louis on May 10, 2010. Reports state China will announce deals today including one to buy 200 Boeing airplanes. China will also invest in U.S. exports from agriculture, telecommunications and computer companies. China and the U.S. are to announce the deals during Chinese president Hu Jintao's state visit to Washington. CEOs from several of the companies China is striking deals with, including Boeing and General Electric, will meet with Hu and President Barack Obama at the White House Wednesday. The official spoke on the condition of anonymity in order to speak ahead of the formal announcement. In China’s Inner Mongolia Autonomous Region. Would include a large surface coal mine, produce power and convert flue gas carbon dioxide into cement-like building materials. In China’s Xinjiang Autonomous Region. With Yankuang Xinjiang Nenghua Company Limited MOU. Would include an “ultra supercritical clean coal electricity generation project” and coal-to-natural gas conversion facility. Fueled by a new open-cut coal mine. 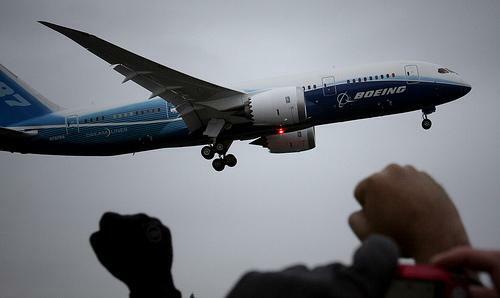 Looks like the Boeing 787 Dreamliner will stay, well, a dream for just a bit longer. Boeing Co. is pushing back the delivery date for its new 787 until at least July.